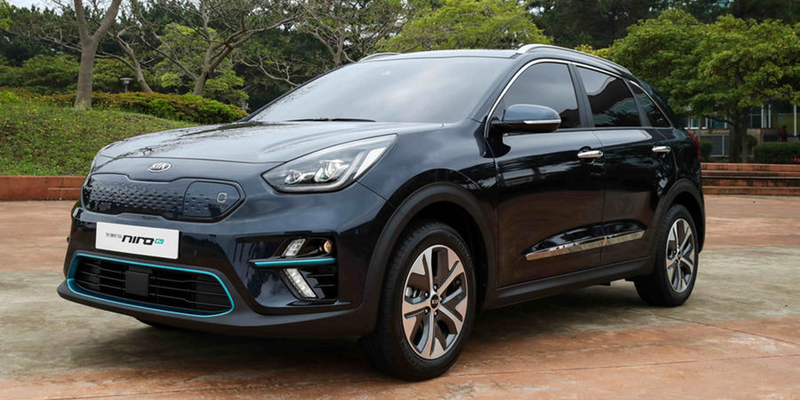 The fully electric Niro is Kia’s second BEV after the Soul EV that is sold globally. After the market launch in Europe toward the end of 2018, the Niro will continue to north America in the first quarter of 2019. The EV completes the Niro model range, which had previously only included a complete hybrid and a plug-in hybrid version. Since their launch in 2016, the hybrid variants of the Niro sold around 200,000 units around the world. As previously reported, the battery for the fully electric Nuro as well as the Hyundai Kona Electric, which was presented in February, will be offered in two variants with 39.2 kWh or 62 kWh. This will allow for ranges over 300 km for the smaller battery and 450 km with the larger one. Total consumption is stated to be 13.9 kWh for the smaller version and 14.3 kWh on the larger battery per 100 km. The values are the same as for the Kona Electric. The electric motor in the Niro features performance of 150 kW. The charging performance for the batteries was undisclosed for some time, but it was recently confirmed that both can be charged at CCS high speed chargers (up to 100 kW) to 80% within 54 minutes.